Oertel Handmade - Sport uni - golf umbrella - black by Oertel Handmade at Village Green Golf. Hurry! Limited time offer. Offer valid only while supplies last. A perfect golf umbrella. 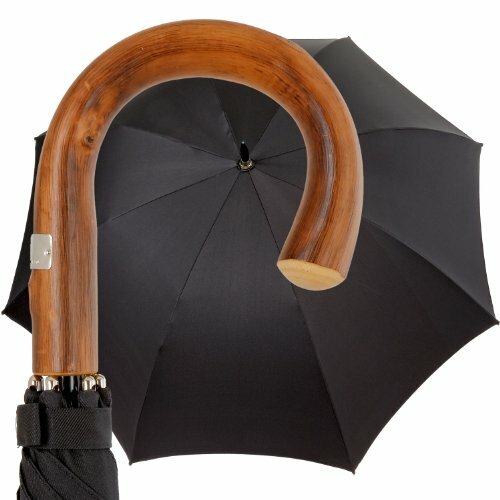 A gentlemen?s umbrella with an unbreakable frame made of tempered spring steel, with a handle of polished Congo-chestnut. A perfect golf umbrella. A gentlemen?s umbrella with an unbreakable frame made of tempered spring steel, with a handle of polished Congo-chestnut. The canopy is made of material that is used for the finest ties. The elegant yet timeless colours has been woven in contrasting colours for the inner and outer side of the canopy. We also include a black cloth carrying bag to protect the entire umbrella, including canopy and handle. If you have any questions about this product by Oertel Handmade, contact us by completing and submitting the form below. If you are looking for a specif part number, please include it with your message.